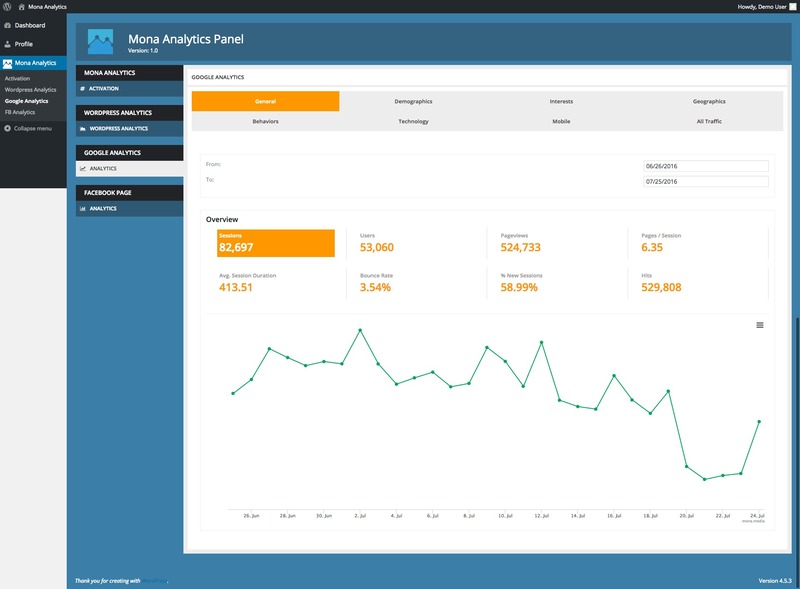 Mona Analytics is the most powerful wordpress analytics plugin, which included every data of your business, such at Website, Facebook Page, Google Analytics, Twitter, Instagram… and more Social Network will coming after you suggest your in the comment box bellow. - Top Author sort by Post. 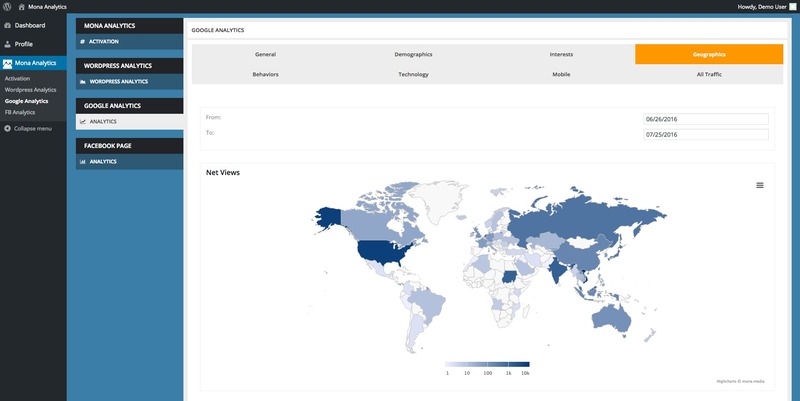 Mona Analytics will collect all of data from your google analytics account and display it through a Chart so you can improve, develop your strategies. Mona Analytics will help you to manage your Official page and other pages IN YOUR WORDPRESS ADMIN by FACEBOOK INSIGHT. - Likes: Tracking your page like, Net like and follow. - Reach: Tracking your posts reach, charts for reactions, comments, shares, hide, reports, spam, unlike and for Each reactions. - Stories: The number of stories about your Page by story type. - Page Views: Net views, Loggin Views, Age, Gender, Device. 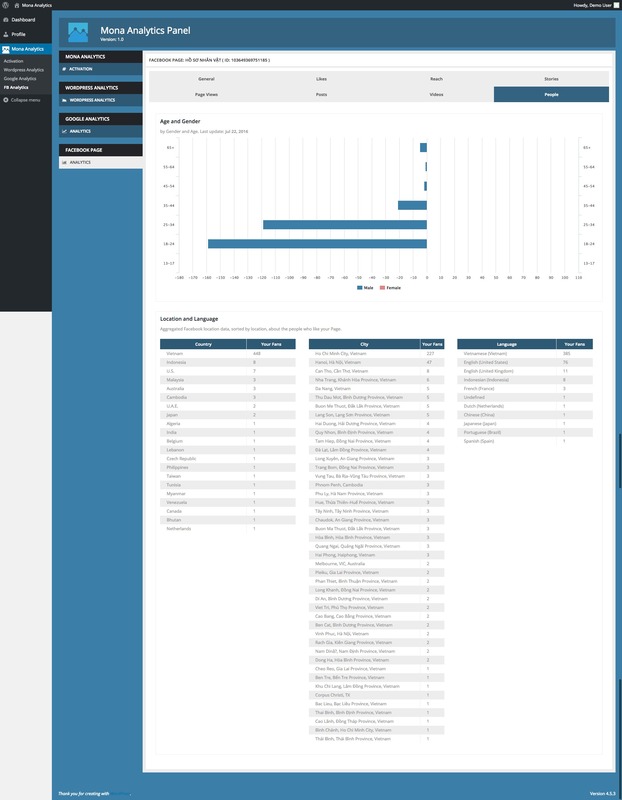 - Posts: Tracking your posts by the smartest chart and detail insight. 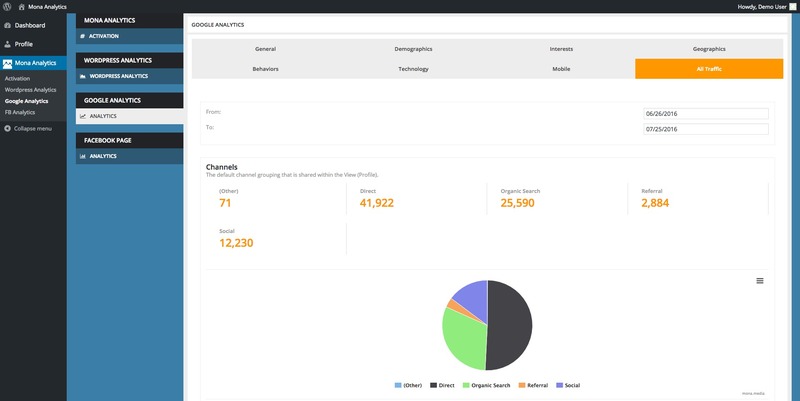 - Video: Tracking Your video Views, or Over 30seconds Views, And each Video post Insight. We will keep updating this plugin with many different kind of social. 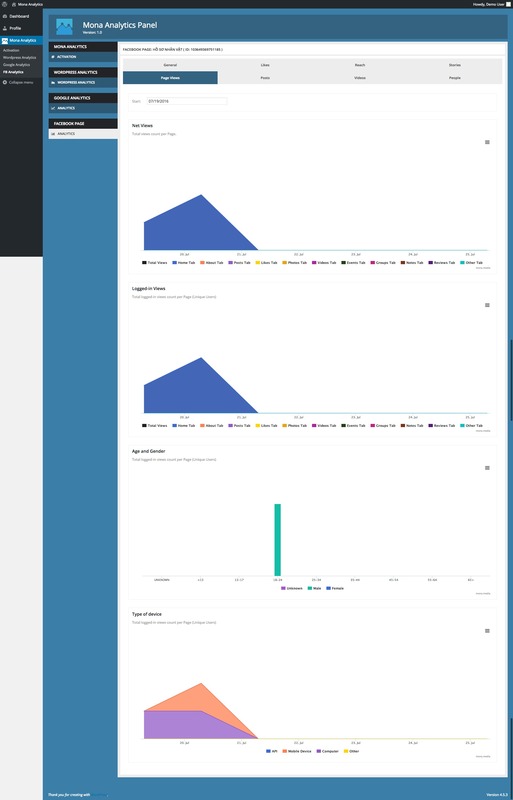 Twitter Multi Account Analytics will release in v1.1!